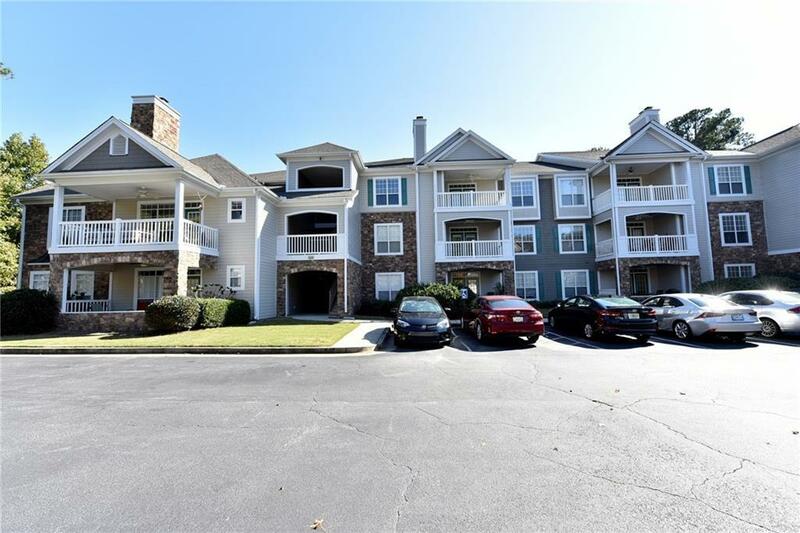 Great Price for a luxury 2 BD, 2 BA condo in gated Milton community. Less than 2 miles from Hwy 400. Top floor unit! Kitchen w/ new SS appliances. New carpet & paint. Great room w/ fireplace, built-in bookcase & desk area & overlooks covered deck. Separate dining room. Roommate plan, move-in ready. Within walking or short drive to shopping, restaurants, parks, tech corridor, Marta, Verizon Amphitheater & Avalon. Active, friendly community with pet walk, carwash, exercise facilities, pool & tennis. HOA fees cover all exterior maintenance, including roof. Ample parking. Directions: Ga400n To Exit 11, Windward Parkway, Turn Left Off Exit Onto Windward, Then Right On Deerfield Parkway. Villages Of Devinshire Is On Left. After Gate Go To Back Of Community, Building 1200 Is On Right. Unit 1238 Is On Left Side Breezeway On Third Floor. Selling Office: Realco Brokers, Inc.